In August I decided to spend a weekend in Grindavik and of course I also checked for mountains to climb nearby. 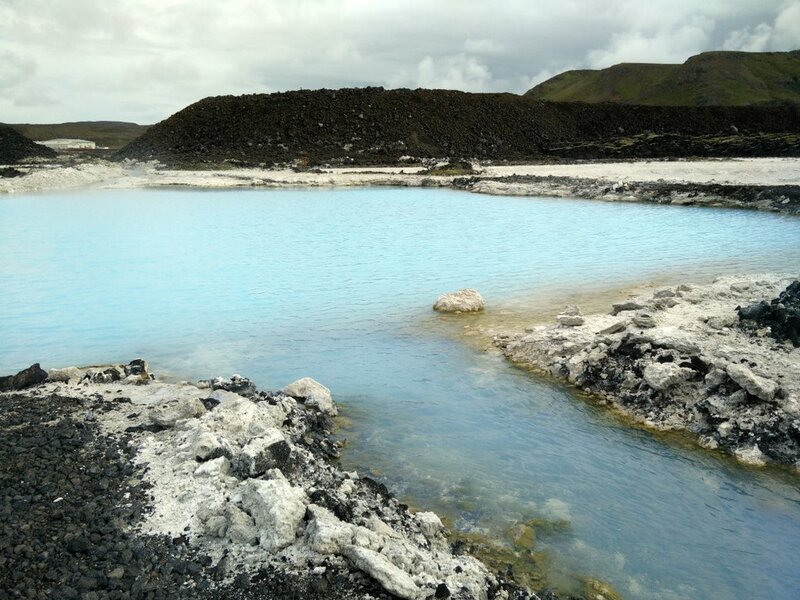 I came across Thorbjorn which is placed between Grindavik and Blue Lagoon – a well known Icelandic spa. 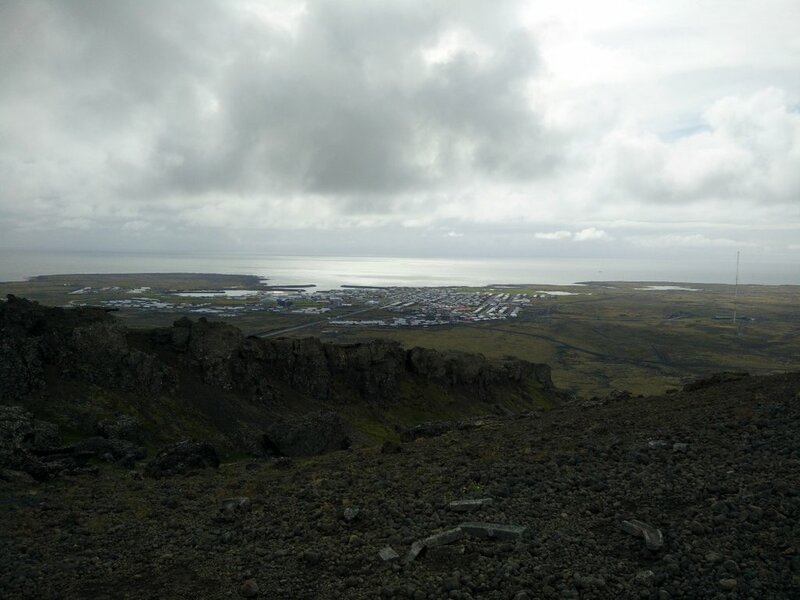 The mountain is only 200 meters high but after checking the map I figured out that it offers a great view on Grindavik and the Atlantic Ocean. 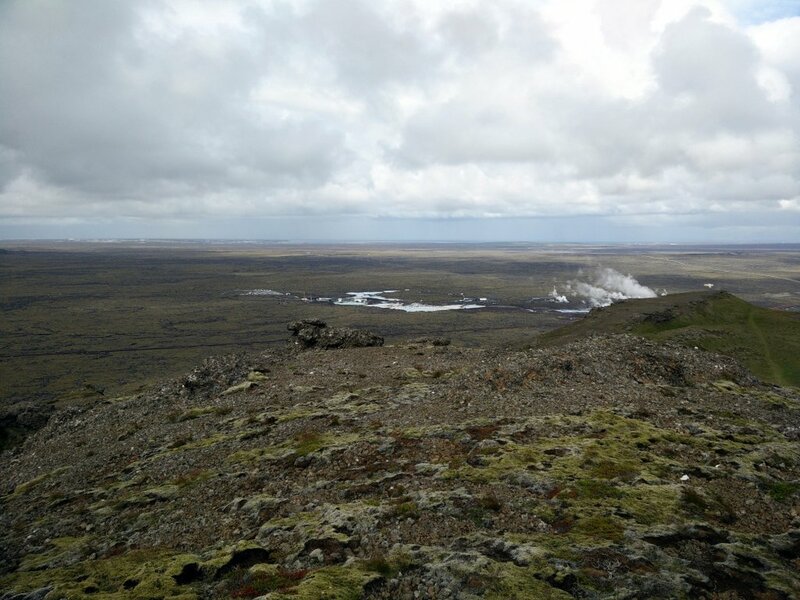 Furthermore, I saw that there are several hiking trails in this area and therefore I planned a nice circle tour which starts in Grindavik and goes over Thorbjorn to Blue Lagoon and then returns back to Grindavik around the mountain. 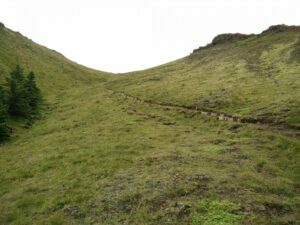 This hike is very easy and therefore suitable for everybody who wants to spend a day in the nature while observing the astonishing Icelandic landscape. 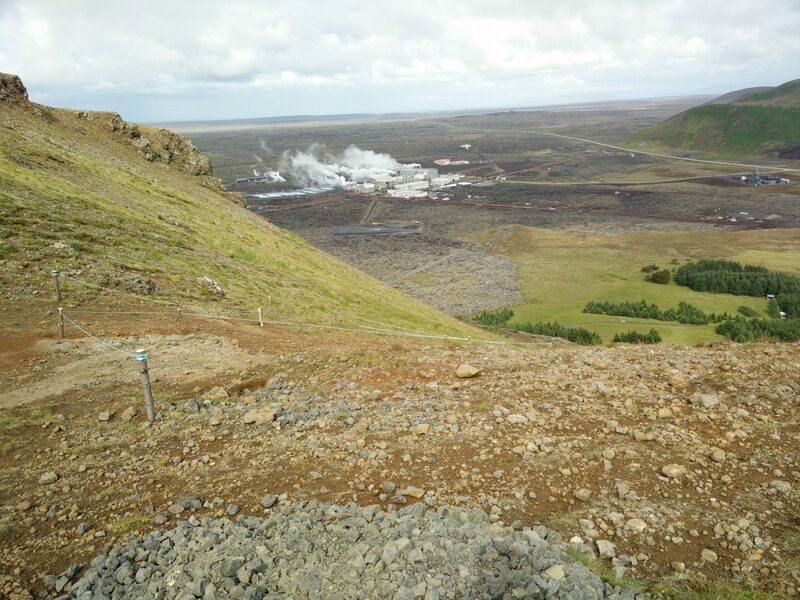 This hike starts in Grindavik which can be easily reached by public transport. First take bus 55 from the Klambratun bus stop towards Grindavíkurafleggjari. If you are not planning to leave from Klambratun Park, check Straeto’s website to find other bus stations where bus 55 stops. The bus drive will take you around 44 minutes. At the Grindavíkurafleggjari bus stop, take bus 88 towards Grindavík Adalbraut. 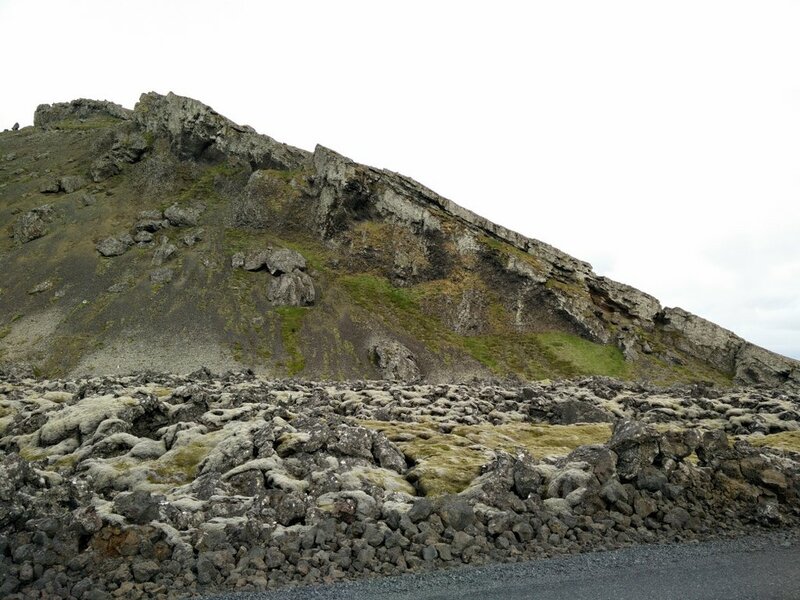 After driving approximately 10 minutes you will reach Grindavík Adalbraut. In the proximity to the bus stop there is a Netto supermarket as well as a Vinbudin – an Icelandic liquor store. Just in case you want to buy something for the hike. The above attached GPS route starts approximately 700 meters northwest from the Adalbraut bus stop. 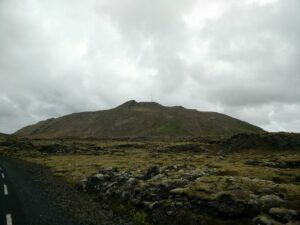 From the bus stop walk towards north on Grindavikurvegur Street for approximately 600 meters. Then go towards northwest until you reach Nesvegur Street; here the attached GPS route starts. Cross the Nesvegur Street and continue on a paved road which leads towards the Blue Lagoon but only follow it for 500 meters. 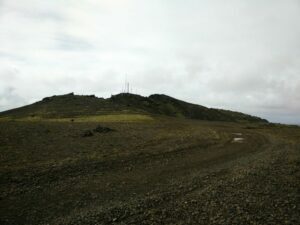 Then you’ll see a wide dirt track on the right side of the road which runs towards Thorbjorn. After approximately 800 meters the wide dirt track splits into two. I decided to continue on the right path and ascend the mountain from the western side. I descended the mountain from the northern side where a completely new path with wooden stepping logs have been made – and was being expanded at the time of my hike. The path is pretty steep so be careful to avoid slips and falls. 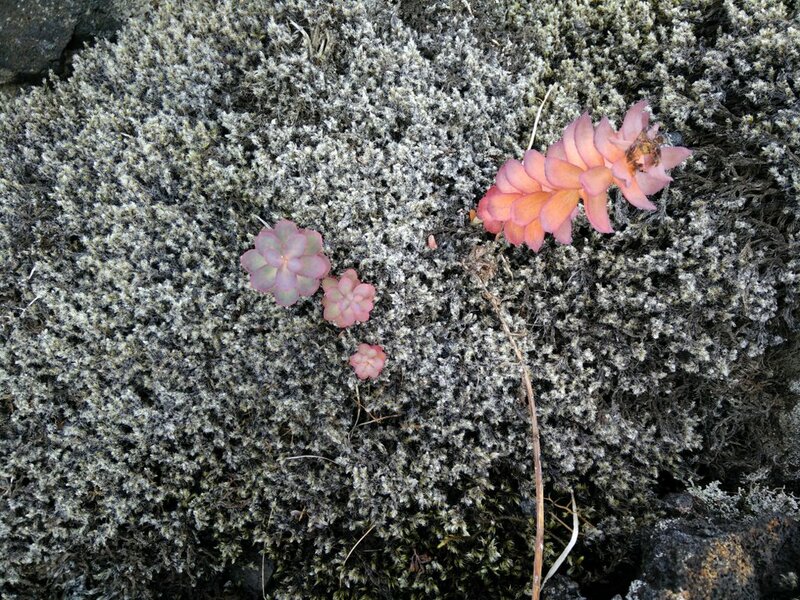 Whereas the mountain was mostly rocky and bare while ascending, the northern side was more lush and green. 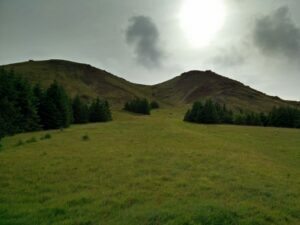 At the foot of the mountain there is a small pine forest and a playground next to the path; an ideal place to take a pause for lunch – not least because it is relatively sheltered from the ever-present Icelandic wind. There is even a hammock for those who want to take a nap in the nature. The little forest is said to house wild rabbits – both are a rarity on Iceland! After a lunch break I continued on the path towards west. The path soon splits into two – the left path is leading around the mountain and the right path is running towards Blue Lagoon. 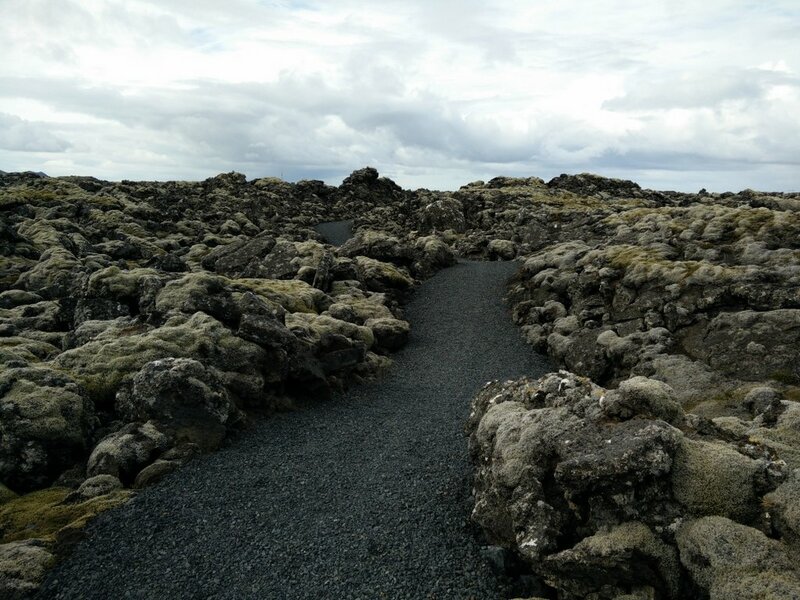 I took the right path which is paved with gravel and runs over an amazing lava field. 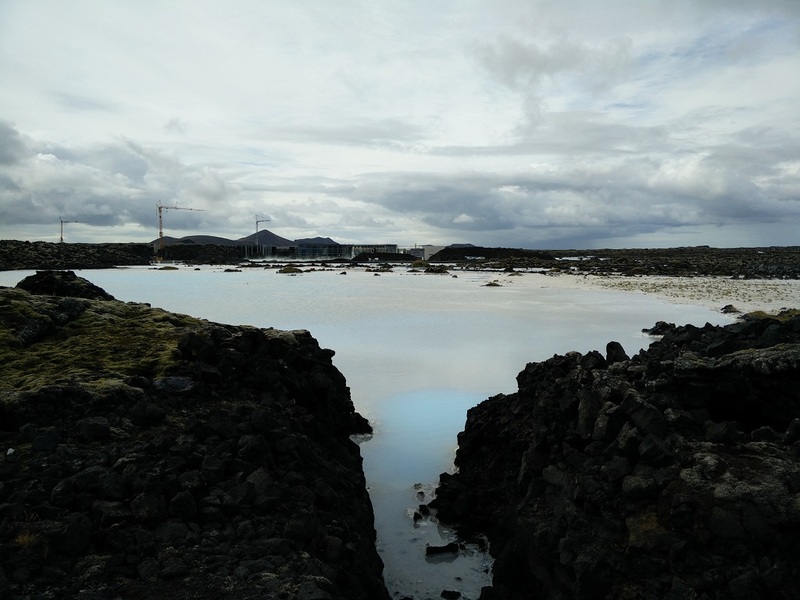 After approximately one kilometer, I reached the Blue Lagoon and walked around it. Then I continued on a path towards west until I reached the main road which connects Grindavik with the Blue Lagoon. For the next 2 kilometers I hiked on this road which was free of heavy traffic and surrounded by lava fields with several outstanding lava structures. Finally a wide dirt track began from the left side of the road and I decided to continue on it. I soon came to the crossroads where I took the right path in the beginning of the hike. After that I just continued south until I finally reached Grindavik. Because the weather forecast showed possibility of rain, I wanted to be decently equipped for the hike. I was wearing an Under Armour t-shirt, Woolx Blizzard Top, windproof Schoeller AB400 pants, Woolx Merino Hat and Salewa Mountain Trainer hiking boots. In the backpack I was carrying thermal underwear, Windstopper jacket, food and water. When I was approaching the top of the mountain I had to put on my Windstopper jacket because the wind became pretty strong. These extremely comfortable boxers were perfect for this hike. 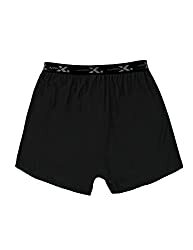 They are made out of soft 100% 17.5 micron Merino wool which assures superb temperature regulation and anti-odor properties. I haven’t noticed any rubbing, chaffing or other discomfort during the hike. I would recommend them to everybody who wants top quality underwear for the most demanding trails as well as for easy walks. The Thorbjorn trail is best for those who want to explore the area around Grindavik and Blue Lagoon while climbing a small mountain that offers a great view on the Reykjanes peninsula. 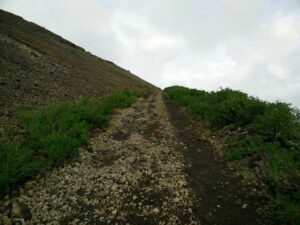 I would recommend you to wear good hiking boots because the climb to the mountain as well as the descend is quite steep. When packing your gear, keep in mind that weather in Iceland can change very quickly. Rather pack too much than too little.